I've been listening to the web TV show Smart Creative Women with Monica Lee while working on projects this week. Monica interviews a variety of talented people whose names you might recognize from the design world, and you can't help but pick up great tips from each episode. 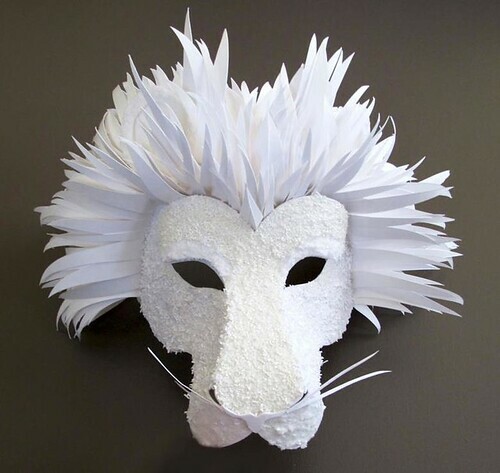 One chat I found especially interesting was with Amy Flurry, an editor, freelance writer, and paper artist. Enjoy it... Amy offers quite a lot of common sense information in a very nice manner on how to go about having your work recognized. Wig and background foliage created for a new REDValentino boutique on Corso Venezia, Milan. February 2013. Now, about that paper art... Amy and Nikki Nye, a formally trained artist and former Atlanta boutique owner, co-founded Paper-Cut-Project in 2009 and have been successfully combining their talents ever since to create fabulous fashion sculptures from heavyweight archival paper. 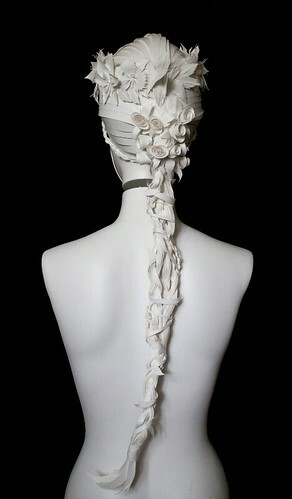 One of four wigs commissioned by Christies for the Elizabeth Taylor couture fashion sale and exhibit in New York this past December. It's funny... I remember noticing the Paper-Cut-Project website when it was brand new. Of course, at the time there wasn't a lot to see, but that has certainly changed - they've been very busy! What hasn't changed is the way the duo create - the paper is still cut, placed, and glued by hand. A mask for a private client in London for his 40th birthday masked ball. Paper-Cut-Project's work has been on display in fashion magazines, designer flagship stores, museum exhibits, and runways... most impressive in a relatively short amount of time. Clients have included Cartier, Hermès, and Kate Spade; Amy obviously knows a great deal about making connections and garnering press. Created for the Hollywood Costume exhibition. 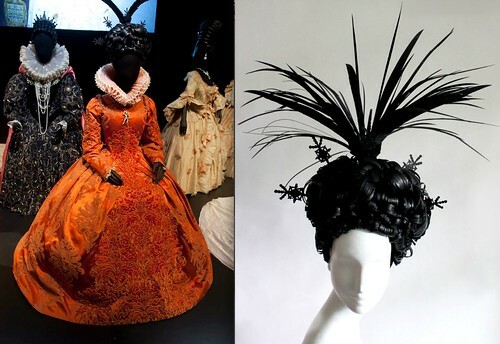 For the Victoria and Albert Museum Hollywood Costume exhibition (October 2012 - January 2013), Paper-Cut-Project made sixteen paper wigs to complement costumes that had been worn by iconic film characters. 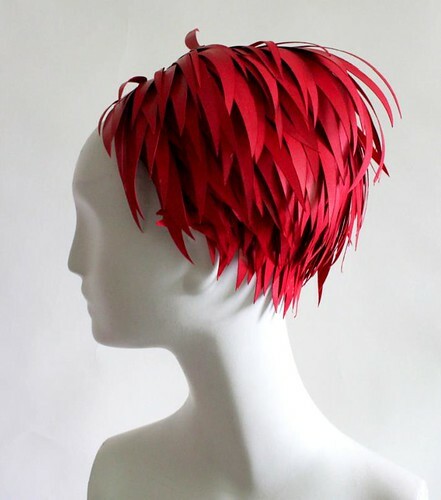 Red wig created for the Victoria and Albert Museum Hollywood Costume Exhibition. It represented Natalie Portman's character in Closer. I could go on forever posting examples of Paper-Cut-Project's designs - each piece is ahh-worthy, but instead enjoy a visit to their website and find them Facebook. 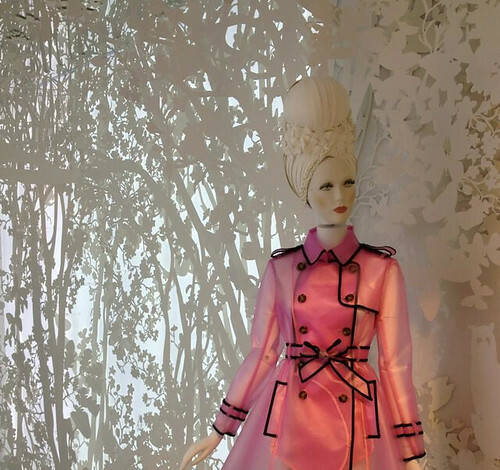 An intricate wig made for REDValentino's Corso Venezia boutique in Milan. Amazing paper cuts and sculptures. Love everyone of them. Stunning. I think paper is going through a Renaissance. Stunning work! Makes me sad that I'll always be one of those people who never reaches their full potential - lol! The dedication they put into their art is awesome! 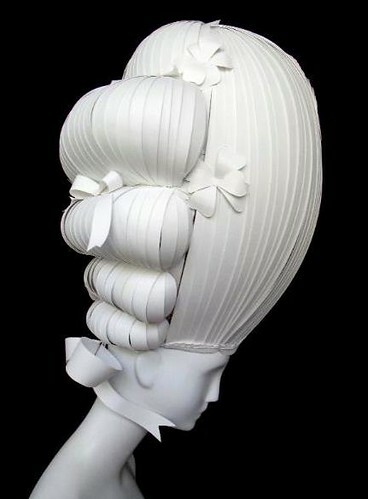 Wow, this is what I call a paper artist. I cannot imagine what it took to do the very last one. Love the black and also the red, odd ... because I usually like white on white art. Thanks for sharing, Ann! Thank you, thank you, thank you Ann for introducing this source! I've been needing to break my vacuum seal and listening to this interview is something I've been looking forward to clearing the decks for. Learned so much today. Amy's generosity in her widespread knowledge is matched by her incredible paper talents. How does one have so many amazing skills in one brain? Beautiful wigs - who would have thought? It sounds like you enjoyed the interview as much as I did; I'm glad! I just love these! I have looked into all of Paper-Cut-Projects art...and I'm telling you, Nikki Nye is sooo talented with her work of paper!! I've seen her work at a showing in Atlanta. Beautiful! The pieces were in Italian VOGUE! Her work will be seen a lot more I'm sure. I've only heard great things from everyone about her talents! Looking forward to seeing more of Nikki's work! You go GIRL! !